As a meat-lover, pork belly is one of those cuts of meat that has an irresistible allure. However much my waistline balloons, the instant gratification from a good pork belly dish is always worth the added pounds to me. 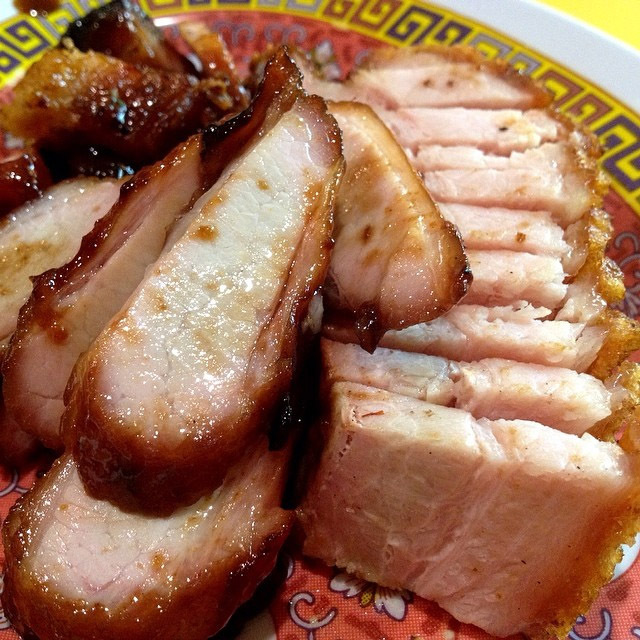 In Singapore, roasted pork – better known as sio bak – and lu rou are the most popular forms of pork belly. Yet, do a little digging and you’ll find an assortment of belly-based delicacies that you didn’t even know existed. Here are 10 delicious pork belly dishes that will fulfil your carnivorous cravings. The Salted Plum offers Taiwanese-style food in a tapas format at Clarke Quay. Lu Rou ($10+ for small/$15+ for large) is a Taiwanese classic and a favourite here, featuring thick strips of pork belly stewed in a soy-based gravy. 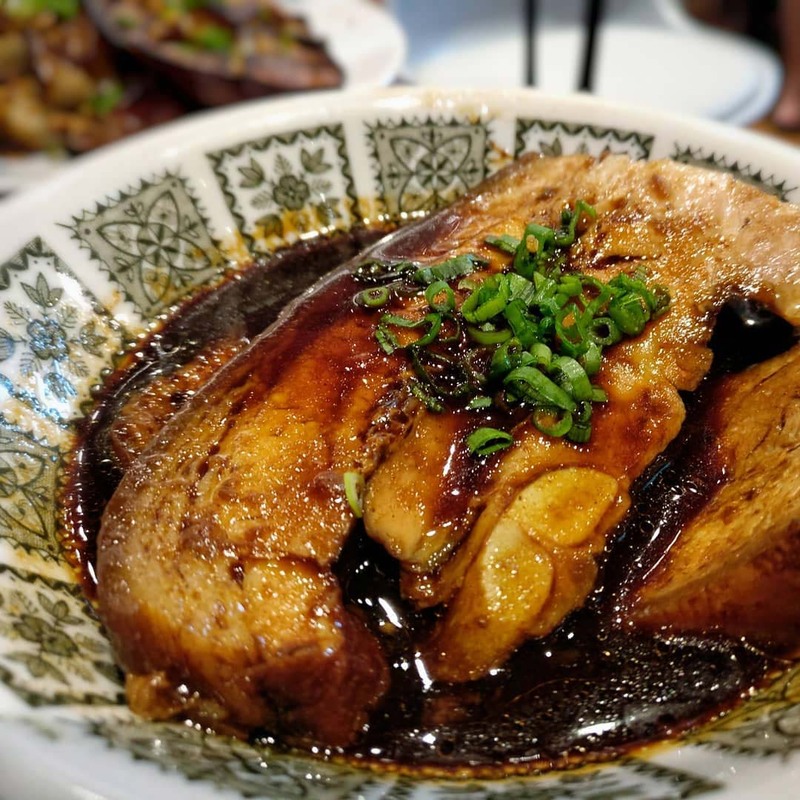 Glistening with gelatinous layers of fat and fork-tender meat, this comforting dish brings back memories of wolfing down my grandmother’s stewed pork at the dinner table. On weekdays, Lu Rou Fan ($10+) is available for lunch, great for office workers in need of some indulgence during a rough day of work. Check out our full review of The Salted Plum! A luxurious Italian classic, porchetta is a roasted roll of pork consisting pork belly, liver and fennel. 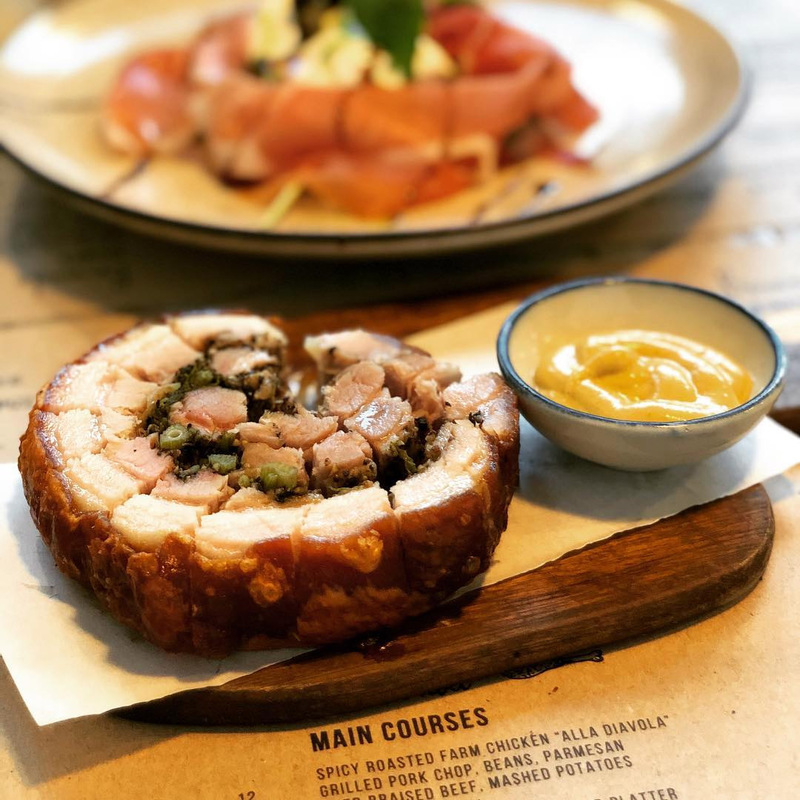 While the dish is less common on our shores, iO Italian Osteria, a homely Italian restaurant located in Hillview, serves up a mouthwatering Porchetta ($9++ for small, $18++ for large). Each roll is crispy on the outside and juicy within, with the earthy fennel acting as a point of contrast. Enjoy it with a dose of sharp mustard to cut the deluge of heavy flavours. Recently opened in the heart of the CBD, Aburi-EN specialises in Japanese-style charcoal grilled meats. 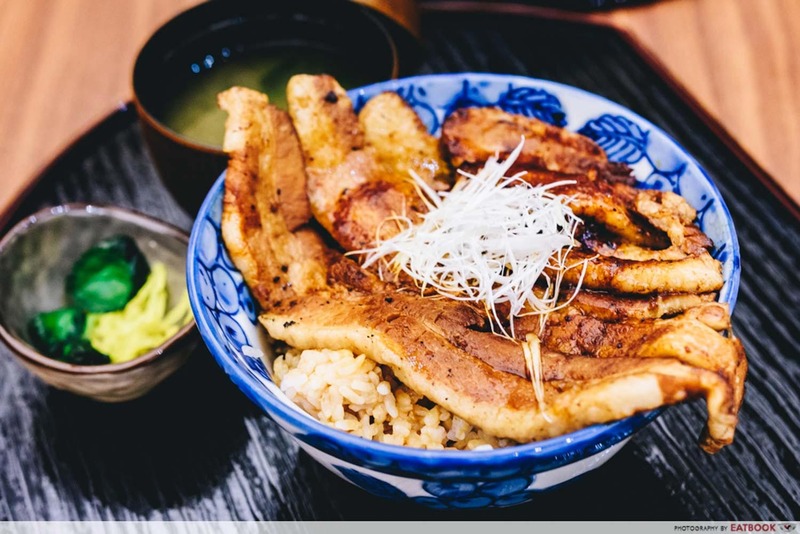 Their signature Buta Bara Don ($15++) showcases lengthy strips of grilled chestnut pork belly lying on a bed of Yamagata rice. Charcoal grilling lends smokiness to the generous portion of meat, while making it superbly tender. 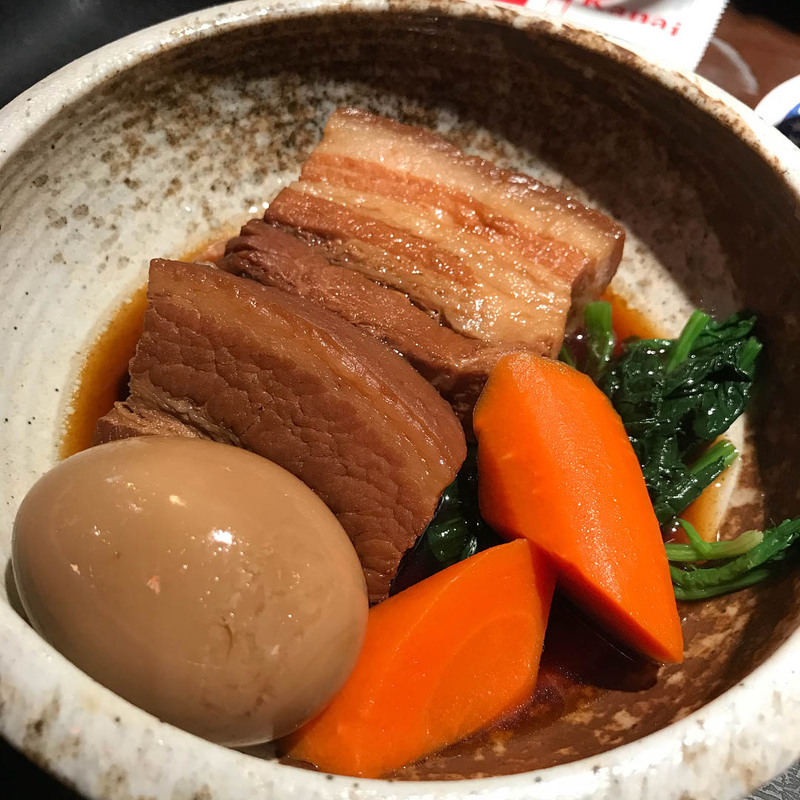 The rendered fat from the pork belly seeps into the grains and acts like a de facto seasoning for the rice, providing moisture and imbuing it with a buttery flavour. Check out our full review of Aburi-EN! Banh mi is a Vietnamese sandwich roll traditionally served with a mixture of pork pȃtés and ham, together with a medley of fresh and pickled vegetables. Bami Express ups the ante by sticking crispy pork belly in their Bami Saigon ($5). One of the common gripes people have with pork belly is that it’s too fatty and jelak to consume in large portions. 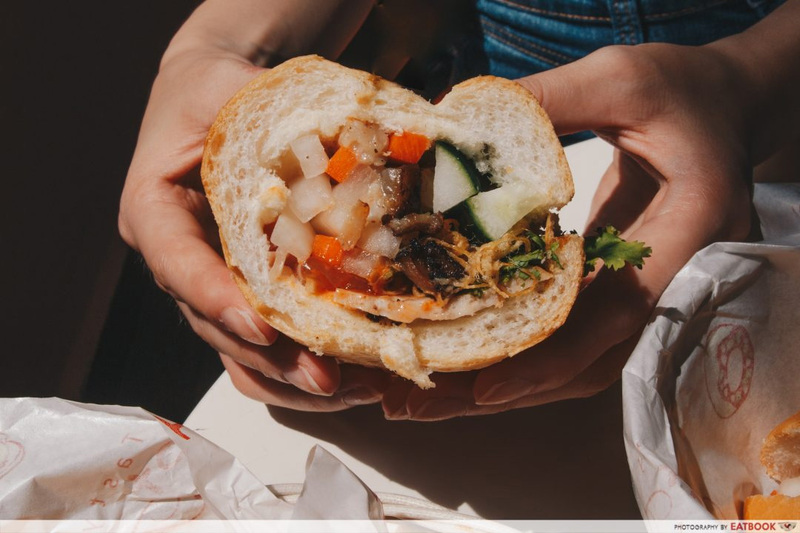 While the carnivore in me begs to differ, putting it in a banh mi circumvents the issue altogether, with vegetables providing a fresh and sour punch that offsets the fatty pork belly. Check out our full review of Bami Saigon! Roasted pork, or sio bak, is the quintessential Asian contribution to the realm of crackly pork belly dishes. Fatty Cheong is an institution of roasted meat, famed for their addictive char siu and sio bak ($3.50 for a portion with rice). Armed with ultra-crunchy skin and meat that isn’t too salty, this pork belly dish is even better lathered with a layer of their sweet and savoury gravy. 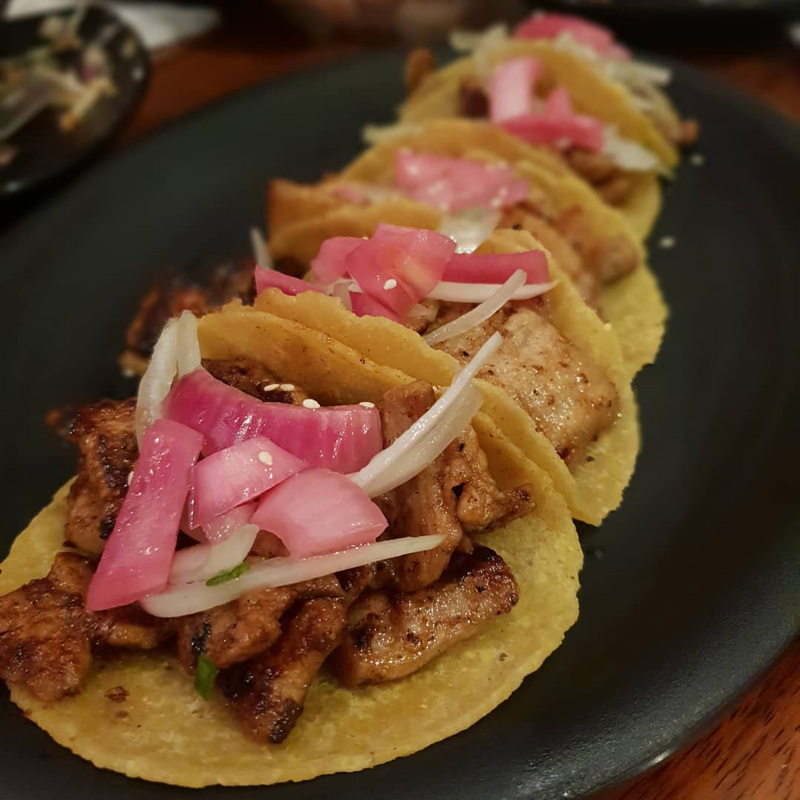 In Mexico, pork is a common taco filling, either in the form of spit-roasted carne asada or slowly braised pulled pork shoulder known as carnitas. Vatos Urban Tacos flips the script by whipping up a fusion Korean Pork Belly Taco ($11++ for two, $15++ for three) that’s headlined by gochujang-marinated pork belly in a soft house-made tortilla. Sweet, spicy and unctuous, the slices of pork are well-balanced by sharp and slightly sour strips of onion slaw. Check out our full review of Vatos Urban Tacos! A close relative of lu rou, rafute is an Okinawan-style Simmered Pork Belly ($9.80++ for two pieces, $14.80++ for four pieces). 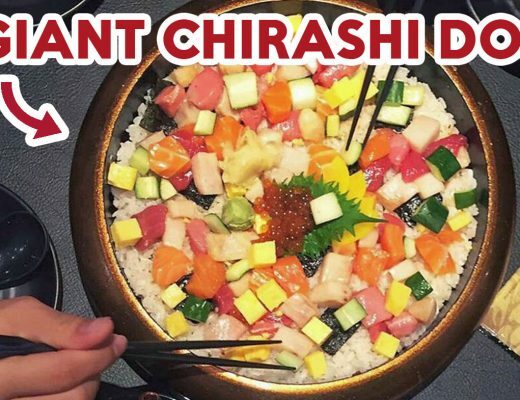 It is a signature item at Okinawan Diner Nirai-Kanai. The stewed slabs of pork belly fall apart at the prod of a chopstick, which is an impressive feat considering how thick each piece is. The gravy is soy-based as well, but lighter and sweeter. Together with the accompanying vegetables, this dish is a less sinful alternative to their Taiwanese counterpart. Alright, I know this looks like thick-cut slabs of sio bak, but Western-style crispy pork belly has several key differences compared to the local favourite. 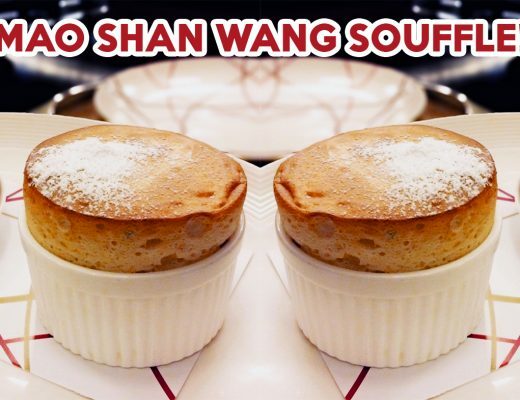 Sio bak is seasoned with fermented red beancurd and five-spice powder, leading to a strong, salted flavour. The Western rendition is usually simply seasoned, and sometimes roasted with vegetables. With fewer spices to mask it, there’s a more prominent pork flavour, while the vegetables impart a mellow sweetness. 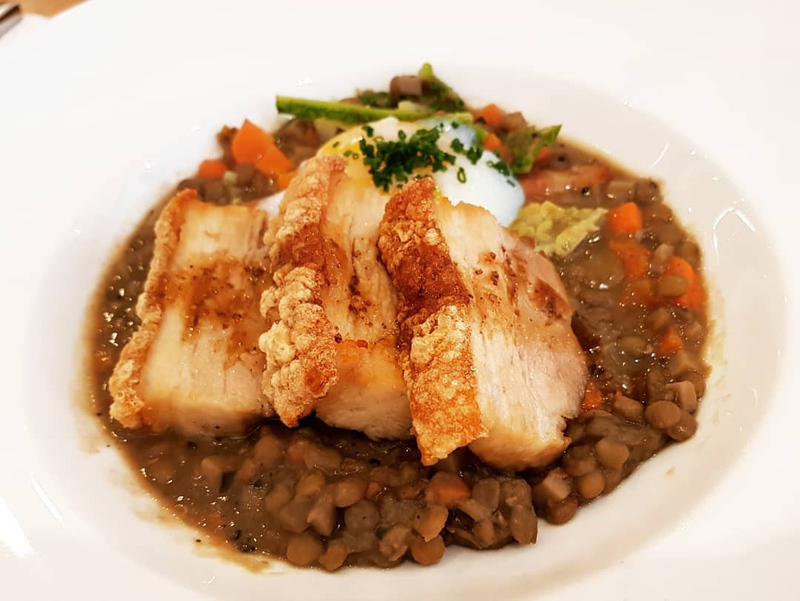 Saveur serves their Crispy Pork Belly ($18.90++) with a poached egg on french lentil stew, providing a rich and creamy nest for the crunchy pork. Head over before 3pm to enjoy the pork belly with a side and drink as part of their lunch special, which will set you back $19++. 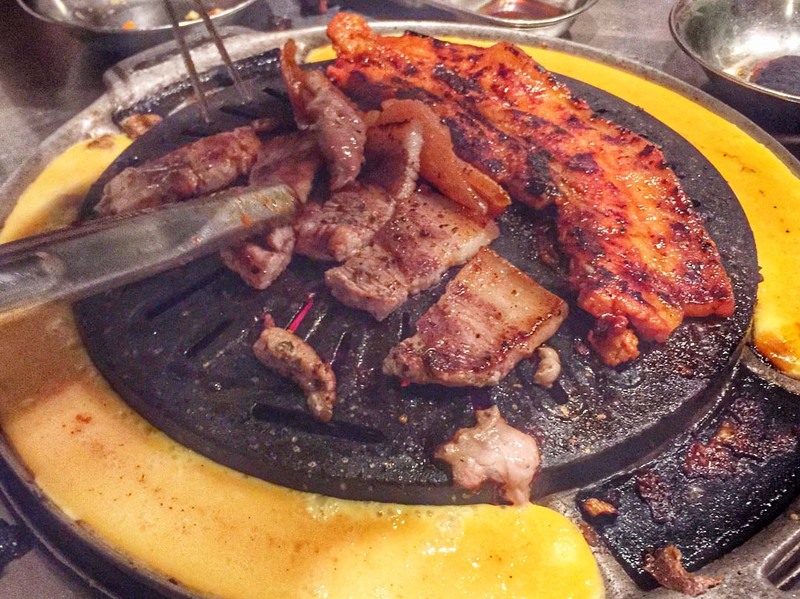 Pork belly is one of the most popular Korean barbecue orders. A scorching grill sears the pork’s surface, locking in its juices. Meanwhile, its fat gets rendered, flavouring the whole grill. Don Dae Bak’s charcoal grills take it up a notch, diffusing an added layer of smoky flavour into the meat. The pork belly is $18+ for a la carte, so it’s much better value for money to order it as part of their buffet. 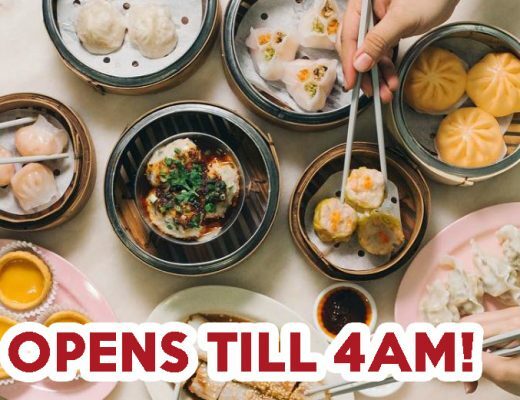 This all-you-can-eat feast costs $23+ for Monday to Saturday during lunch, $26+ for dinner from Monday to Thursday, and $28+ at dinner time from Friday to Sunday. Pork belly slices are not a familiar ingredient in ramen, but Sanpoutei Ramen offers it in their Rich Tori x Nikumori Miso Ramen ($16++) and Nikumori Spicy Rich Miso Ramen ($17++). Both have a rich chicken-based stock that is simmered for 8 hours before being blended with a secret miso mixture. 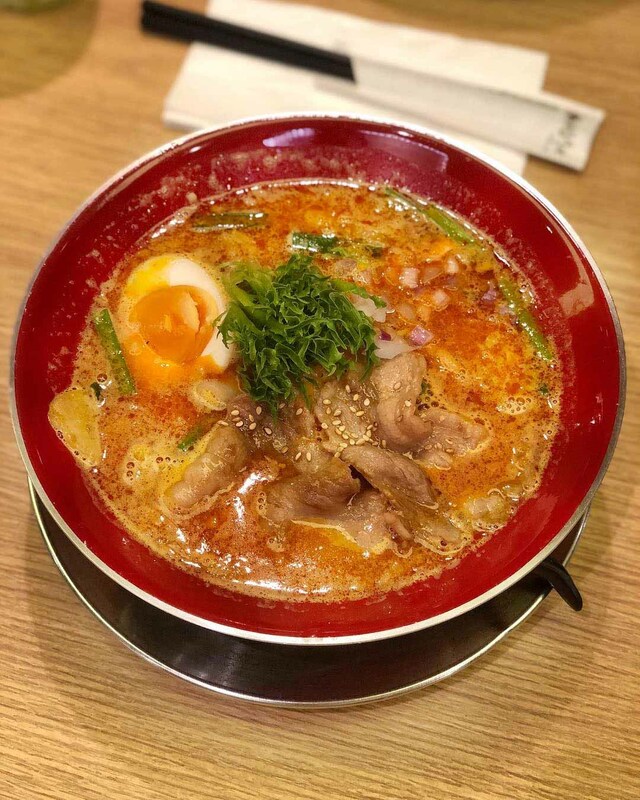 The bowl is garnished with buttery pork belly strips, which are best enjoyed coated with the flavoursome soup. When you really want to reward yourself, fork out an additional $2++ for three more pork belly slices! When done right, with juicy meat and melt-in-the-mouth layers of glossy fat, there’s no other meat I’d rather have than pork belly. While it’s always nice to treat yourself to an opulent meal, hit the gym in the aftermath or be prepared to spend on a new pair of pants! If you’re still craving for a meat fix, check out our list of 10 Famous Sio Bak Stalls or 10 Dry Beef Noodles Stalls. If you’ve come across other creative pork belly preparations, drop a comment down below.